Trivikram Swami : We had been in England for three months, and I was attached to serving Prabhupada. I wanted to go on to Boston with him. I asked if I could come, and he said, "Let us see." He never said, "No," but one day his secretary said, "Stop bothering Prabhupada about going to America. Upendra is there. It's already settled that he's going to do your service, so you can't come." That day when I was driving Prabhupada to the temple from his apartment I said, "Prabhupada, Purushottam said that Upendra was going to serve you when you go to America." Prabhupada was silent, so I knew it was true. 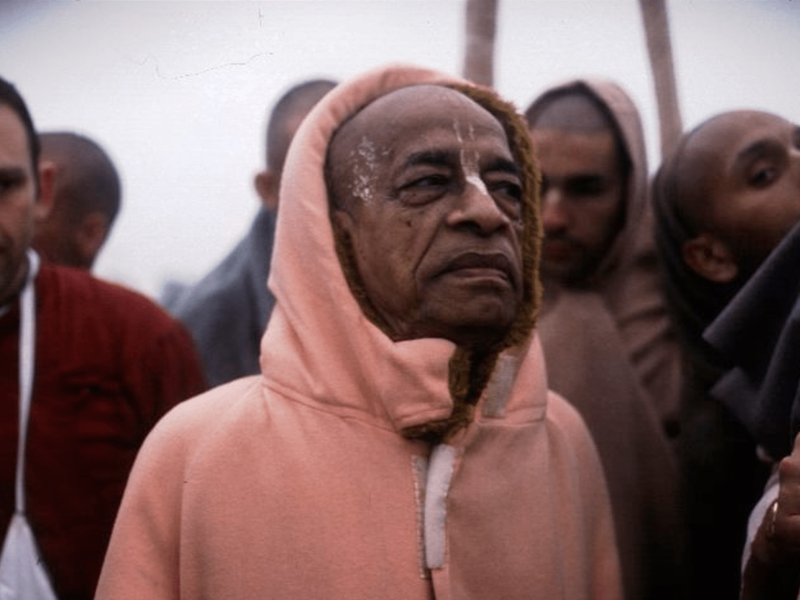 I was a little discouraged, but I thought, "I shouldn't disturb Prabhupada." Since Prabhupada was sober I thought, "Let me change the subject." I said, "Upendra, he's a good boy?" I had never met Upendra. Prabhupada appreciated that. He turned to me and very feelingly said, "He's not as nice as you." Prabhupada could see that I wasn't going to insist, "My right is I should be able to come with you. I've asked you," and so on. I was renouncing that, and Prabhupada appreciated it. It was a nice exchange.